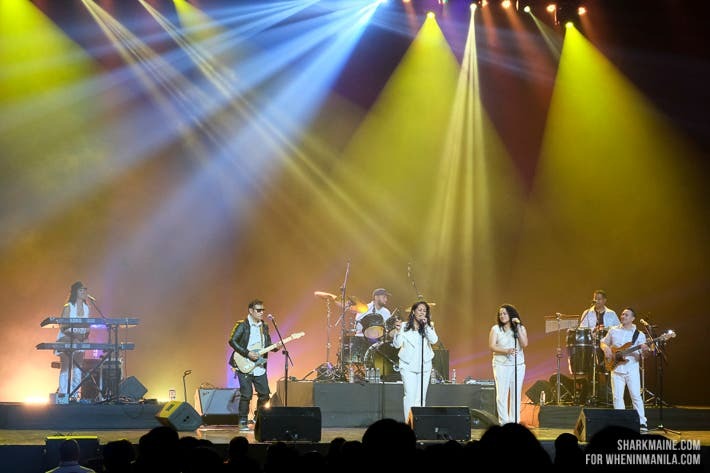 After a long hiatus, The Jets made a comeback and headed their way to Manila to bring us back and relive the 80s through their chart-topping hits “You Got It All”, “Rocket 2 U”, “Curiousity” and the ever-popular hugot-inducing song “Make It Real”. Their one night only performance at the KIA Theatre was such a treat for someone like me who didn’t get to experience the 80s yet loved the era for its music. 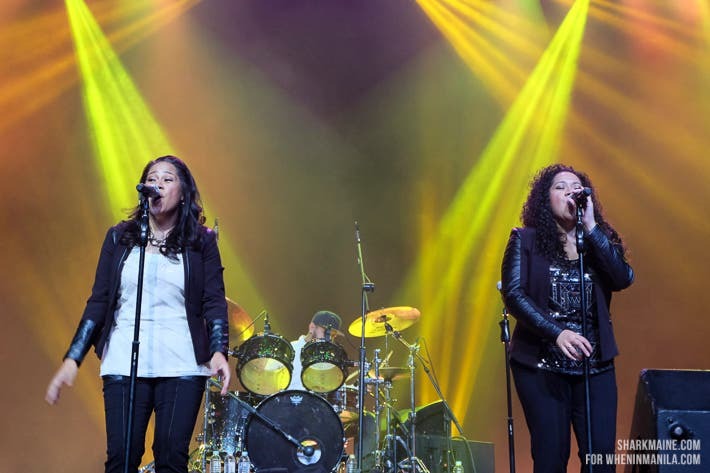 The Jets is made up of the 7 members from the Wolfgramm family: Moana (L), Natalia (R), Kathi, LeRoy, Haini, Donnie, and Rudy. Rudy Wolfgramm on Percussion and Drums. He can sing (and dance!) very well too! DJ Tina Ryan of Magic 89.9 is a big fan of The Jets and she was even invited to go up on stage to sing with them. Another one lucky fan who got to sing on stage with them! The guys were very nice to their fans and they were overwhelmed with how their Filipino fans welcomed them. The band invited some fans from the audience to groove with them on the stage. Everyone had a blast and the energy was high! It was like a huge 80s party! 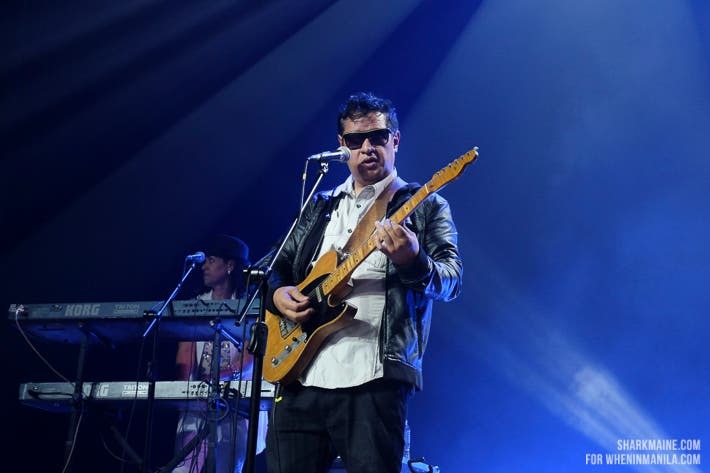 LeRoy Wolfgramm on Guitars. He is the eldest of the siblings and the jack of all instruments according to Moana. 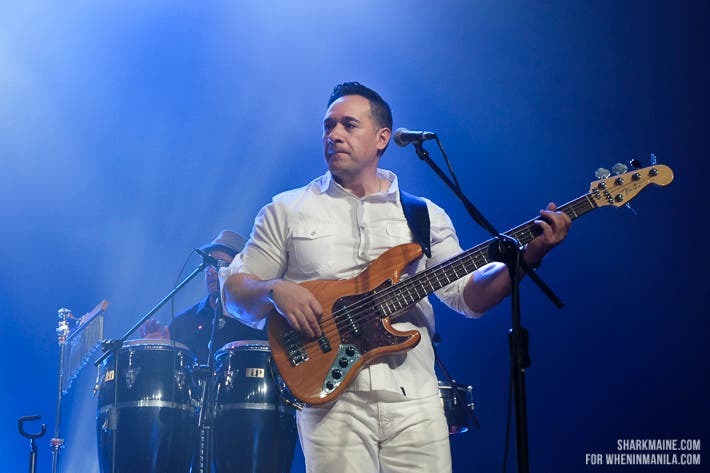 Haini Wolfgramm on Bass. He is a father of 13 (yes 13!) children and his kids are also starting a band of their very own. I guess it runs in the family! Moana thanking their Filipino fans for making their one night only concert in the Philippines a big success. The Jets capped the night off with their hit song, “Make It Real”. It was such a delight to hear them sing it live. But the night didn’t end there as they were demanded for an encore by the fans and they surely delivered one beautifully with the song “Love Like This”. The Jets also graced the audience with some of the songs from their latest album “Reunited“. The night was lovely and everyone had a blast! Thank you from the bottom of my 80s-loving heart, The Jets! 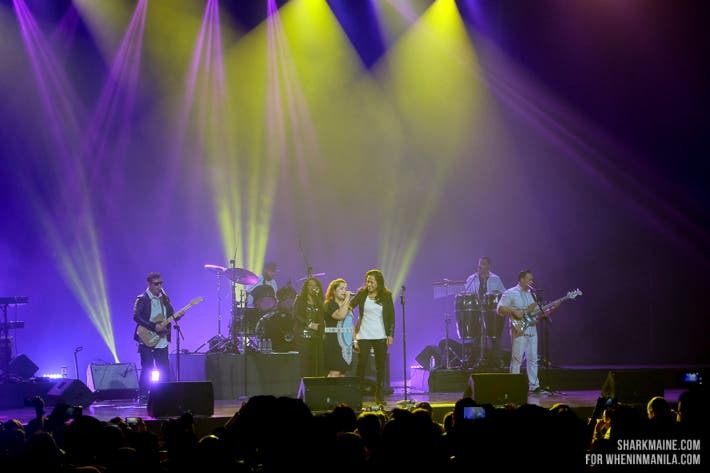 ENTERTAINMENT: Drew Barrymore is in Manila!